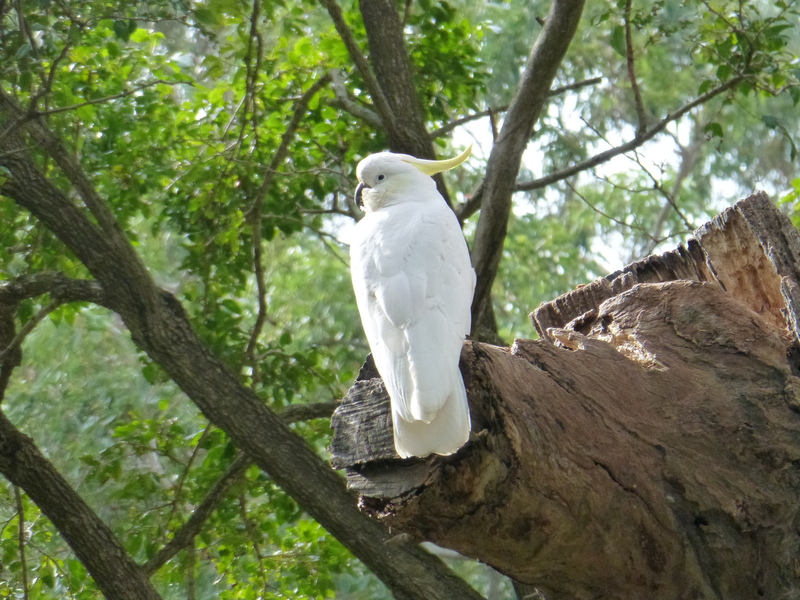 Sulphur-crested cockatoos are a common but welcome sight in the local park. They certainly make their presence felt one way or another. Their looks and their calls are each highly engaging. 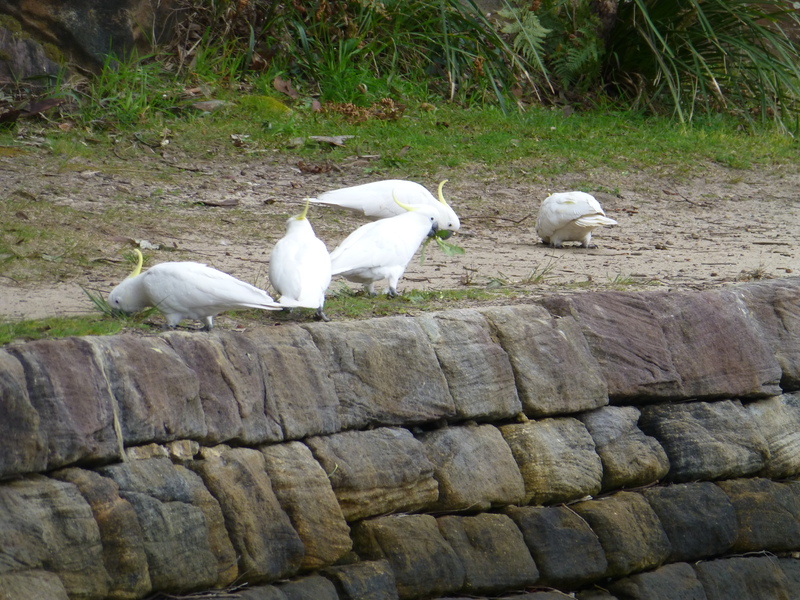 Here’s a photograph of a flock searching for food near the edge of the local swimming baths, on the river. 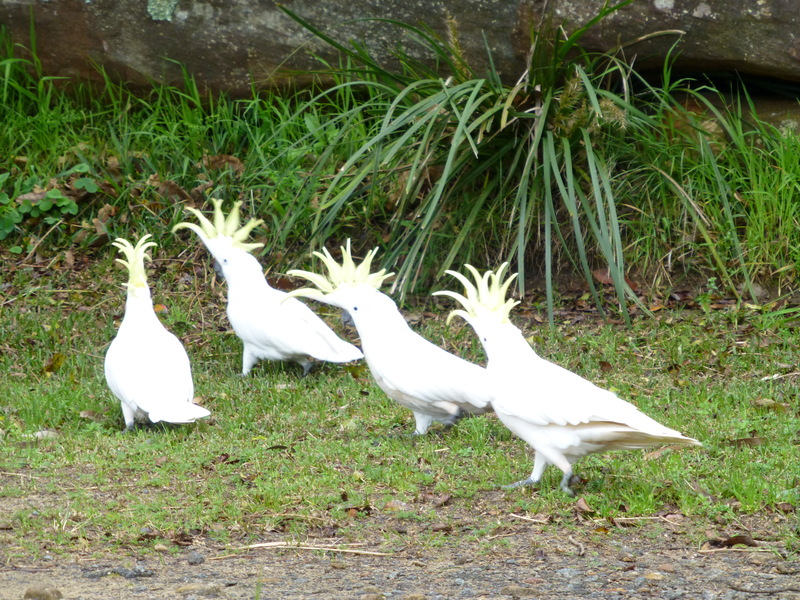 I was lucky to get this photo, since it isn’t every day that I spot a group of Sulphur-crested Cockatoos displaying their impressive head-gear. 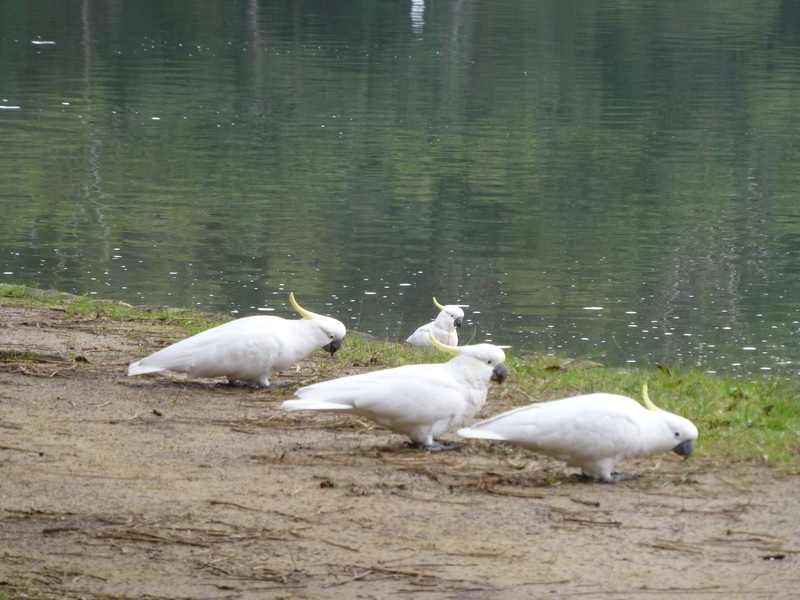 This shot was taken in a bushland park suburban Sydney, N.S.W., Australia: a place where these and other parrots congregate. Sunshine, friends, and a glorious vantage point. What more could this engaging chap ask for? 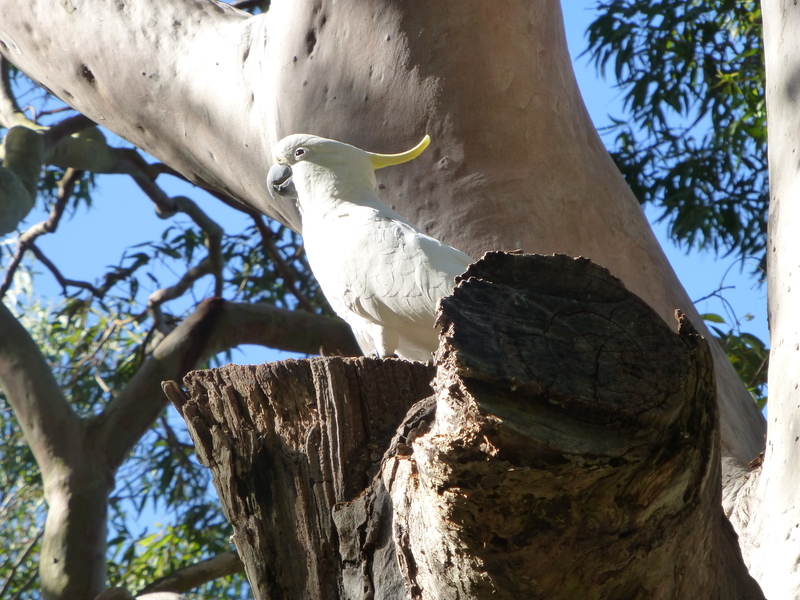 The life of a wild, sulphur-crested cockatoo has its advantages. 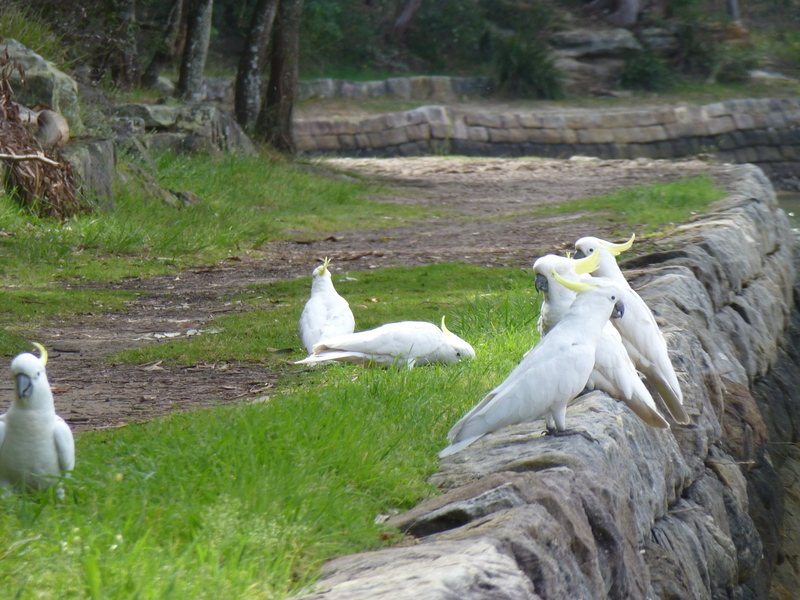 Just as well, for these birds are very long-lived. 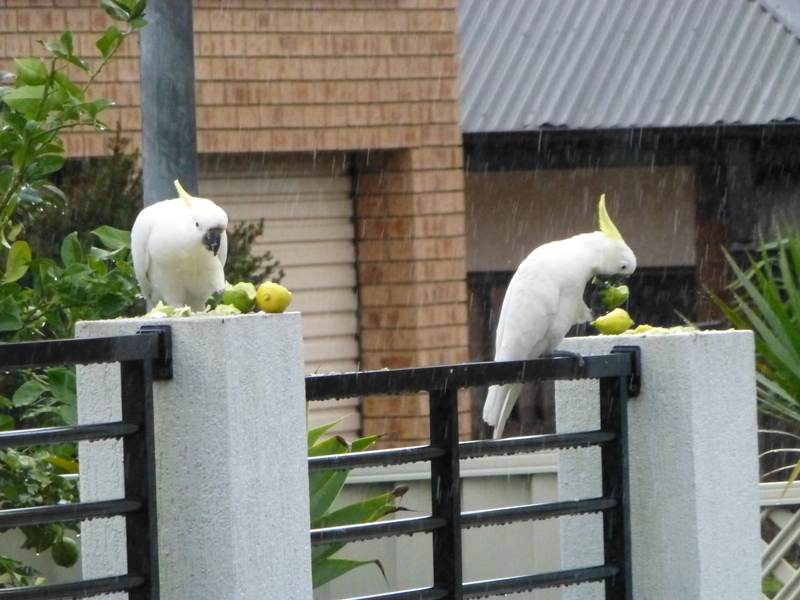 Neat lemons may not be everyone’s idea of a delicious treat, but they’ve sure made a hit with the Sulphur-crested cockatoos!